Rev. DeLaine and other petitioners met at this church regularly after Thurgood Marshall made a commitment to represent them in the Briggs vs. Elliott lawsuit. 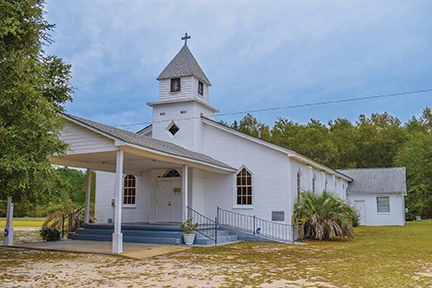 The church was originally established in 1860 as a brush arbor. 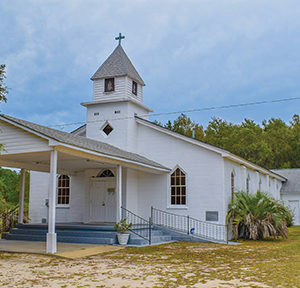 Today’s building is a small white siding sanctuary that was dedicated in 1910.